This is a familiar site that I’m betting every iPad owner has seen if they have kids. You sit down to use your iPad after allowing one of your kids to use it only to find that your favorite app is nowhere to be found. While backups can prevent you from losing your important data and apps permanently, it can be quite a hassle. This hassle can be made even worse if you don’t backup your apps to iCloud or if you have an app that doesn’t sync your data in any way. One of the best ways to prevent this type of app or data loss is to prevent apps from being deleted from your iPad. That’s right. You can easily prevent your apps from being deleted. It surprises me how many iPad owners have no idea that you can do this, and to turn it on is very easy. Today, I will walk you through what you need to do to prevent apps from being deleted from your iPad by enabling Restrictions. Are you ready to get started? 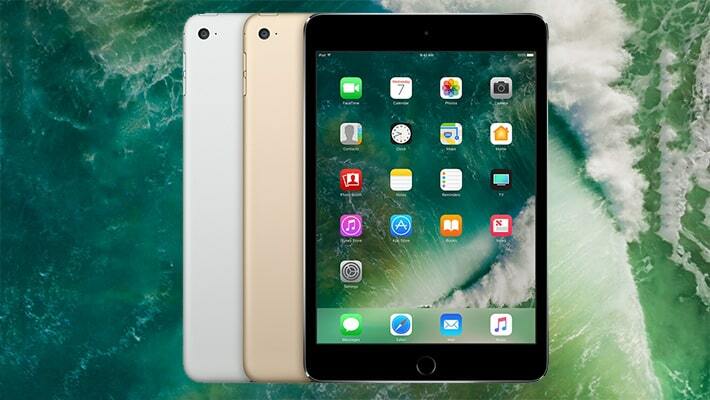 Before we get started, the first thing you need to do is make sure your iPad is up to date. 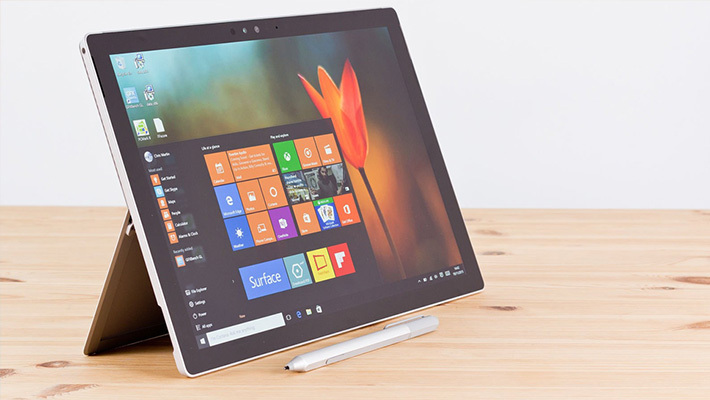 Run any and all software updates for your device. Once they are complete, make sure you have the apps you need and go ahead and remove any apps you no longer use. You may as well do this before you activate Restrictions on your device. While you can still do it later, it will require a code later on making removal a little more difficult. But that’s the whole idea, right? Once you have updated your device and you have the apps you want, it’s time to get started. Thankfully, Apple has made it quite easy to prevent apps from being deleted from your iPad or iPhone. All you have to do is enable Restrictions on your iPad. I should also mention that this process will work the same way on your iPhone, so feel free to restrict app deletion on both your devices. Step 1: From your Home screen, tap on Settings – General. Step 2: In the General menu, tap on Restrictions. Step 3: Tap on Enable Restrictions. Step 4: Enter a four digit code when prompted. After you enter it, you will be asked to enter it a second time to confirm the passcode. This code is only for Restrictions and shouldn’t be confused with your device passcode. In fact, I would choose something completely different from your device passcode just to be safe. Step 5: Switch off any setting you see that you don’t want your kids (or anyone for that matter) to have access to. Specifically, you need to switch off the option for Deleted Apps. I would also you limit the ability to Install Apps and In-App Purchases. This should save you from any unexpected charges on your account. Step 6: Test your settings. 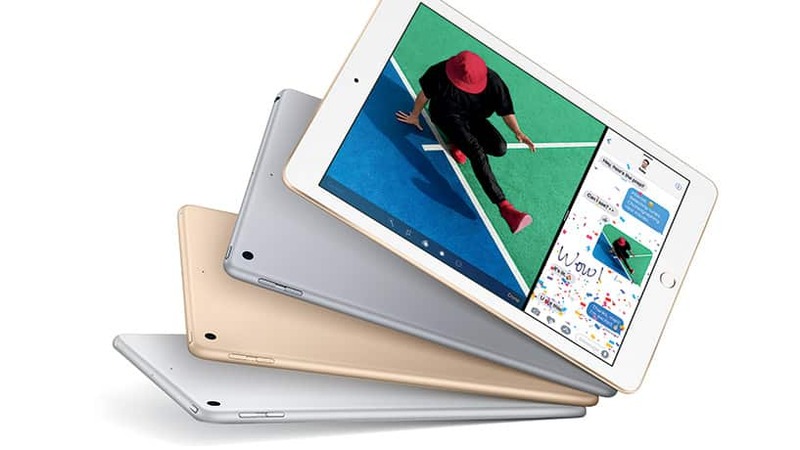 Once you configure the Restrictions on your iPad, it’s time to test them to make sure they work. First, try to delete an app on your Home screen. If it won’t let you do it, you will know it was successful. I would highly suggest that you test every setting you turned on in Restrictions just to be safe, but in my experience these settings work flawlessly. But it’s better to be safe than sorry. Am I right? I’ve already mentioned the Deleting Apps restriction as well as App install and In-App Purchases. But did you know you can use this section to limit all types of access on your iPad or iPhone. For example, if you don’t want your young children snapping 8,000 shots of their foot that you then have to clear out, you can limit access to the cameras. But you can do a lot more, you can limit access to the Stores, AirDrop, FaceTime, and even Safari. 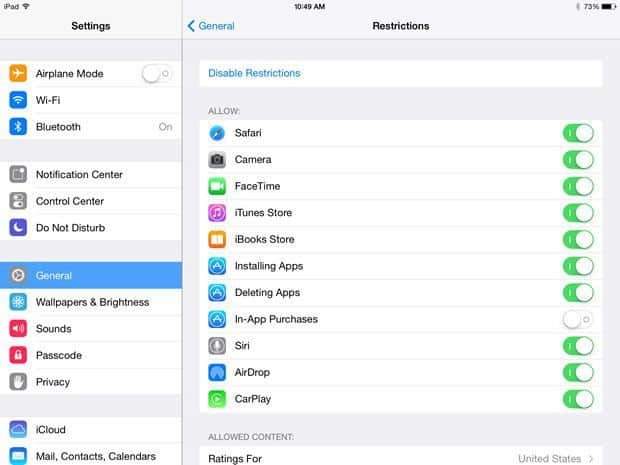 These settings should help you lock down your iPad or iPhone properly so you can control what your kids are allowed to use on their devices. Personally, I’m a big believer in exposing kids to different types of technology. But that doesn’t mean that need full access all the time. What you allow them to use and not use is totally up to you. Even if you do let them use some of these features, there is no reason why you shouldn’t turn on the Restrictions so you can properly monitor when they use these and teach them how to use them the right way. If more parents did this, maybe we wouldn’t have as many problems with teenagers and technology, but that’s the subject of a post for another day. While I’m the first to say that Android does a better job compared to Apple when it comes to kids and multiple device users, the Restrictions section in iOS does a pretty darn good job and locking down your device. If you have kids, I encourage you to use this feature to not only prevent apps from being deleted from your iPad or iPhone, but also to restrict access to multiple options such as In App Purchases. Trust me, your credit card will thank you. 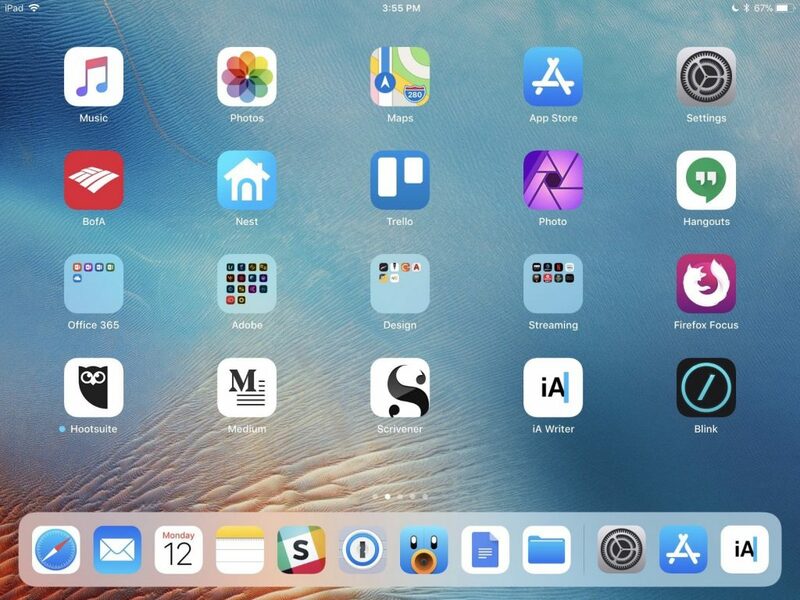 Even if you aren’t worry about that, I guarantee you will love returning to your device to find all the apps you use right where you left them. Have you ever accidentally deleted an app or have one of your children ever done it for you? If so, have you ever tried using Restrictions to prevent this from happening again? If so, tell me what you think about this security feature from Apple. Do you find it a useful feature or is it more of a pain that it’s worth? Tell me your thoughts in the comments below.